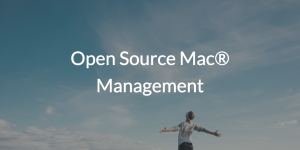 With macOS® systems infiltrating enterprises en masse, many IT admins are looking for a cost-effective open source Mac® management solution. IT budgets are tight, and a great deal of existing IT management tools are generally designed for Windows-based platforms. So, IT admins find themselves needing a solution that is both cost effective and capable of managing the deluge of Mac systems entering their environments. Why Open Source Mac Management? The challenge that IT admins are faced with is two-pronged: Not only do IT admins need to manage macOS systems, but they also need to manage the users who are operating those endpoints. Traditionally, when it came to system and user management, the legacy, on-prem directory services solution was Microsoft® Active Directory® (MAD or AD). But, because AD was originally designed to manage Windows® users and systems, macOS endpoints and their users are often left unmanaged. Hence the search for an open source Mac management solution. So with this newfound influx of Macs into IT networks, IT organizations realized their processes and approaches needed to change. Sysadmins realized that the old, Windows-centric model of user and system management simply did not make a lot of sense because Windows endpoints are becoming fewer in IT environments around the world. IT admins needed a solution for their Mac systems; preferably something that could work for all three major operating systems (i.e., Windows, Mac, and Linux) and evolve to include more resources as the times changed. When IT admins started to search for more, they found a wide range of Mac system management options with on-prem, enterprise-class solutions, and even some open source solutions. That started to give sysadmins hope that perhaps there was a tool that could help them manage Macs more easily, but on the Mac user management side, they were left disappointed. Then, IT organizations and admins looked at Mac user management, and found that the field narrowed quickly. When the two perspectives of Mac user and system management were combined, there weren’t many options at all either open source or commercial. The ultimate solution would provide options and work with another type of system being introduced into IT environments—Linux® systems. With AD already struggling to manage Macs and then you throw in Linux endpoints, well, Active Directory struggles even more. So, sysadmins have to think of ways to replace their identity provider (IdP), Active Directory, and establish a solution that works with all three major OS platforms: Windows, Mac, and Linux. Also, it isn’t just systems that need administration, you need a solution that can manage your applications, files, and networks, too. 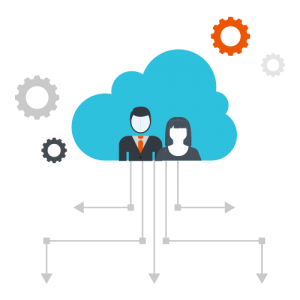 When all these requirements are boiled down into a reduction, you find only one solution, and that’s a cloud identity management platform called JumpCloud® Directory-as-a-Service®. Additionally, with GPO-like Policies, JumpCloud can enforce company-wide security requirements, regardless of the platform. As a cloud identity provider, Directory-as-a-Service securely manages and connects users to all of their IT resources, including Mac, Windows, and Linux systems. And because the IT environment has evolved to include more than just new systems, Directory-as-a-Service was designed to connect to those too. Web-based and on-prem applications such as G Suite™, GitHub™, and Jira® can each be authenticated to with Directory-as-a-Service via SAML and LDAP protocols respectively. Cloud and on-prem servers as well as physical and virtual file servers, like Box™ and NAS/Samba devices, can all be accessed via Directory-as-a-Service as well. Additionally, for IT admins who want to further strengthen their network security, JumpCloud can utilize the RADIUS protocol to ensure only people with the correct credentials are accessing the network. While Directory-as-a-Service is not an open source solution, it can help you get rid of your AD implementation and help you connect your users to all the IT resources they use day in and day out. 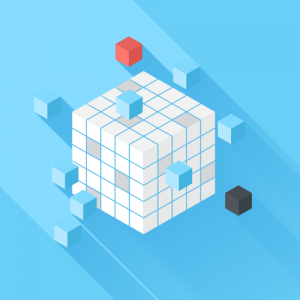 There is no need for an open source tool to help manage just one subset of your systems. 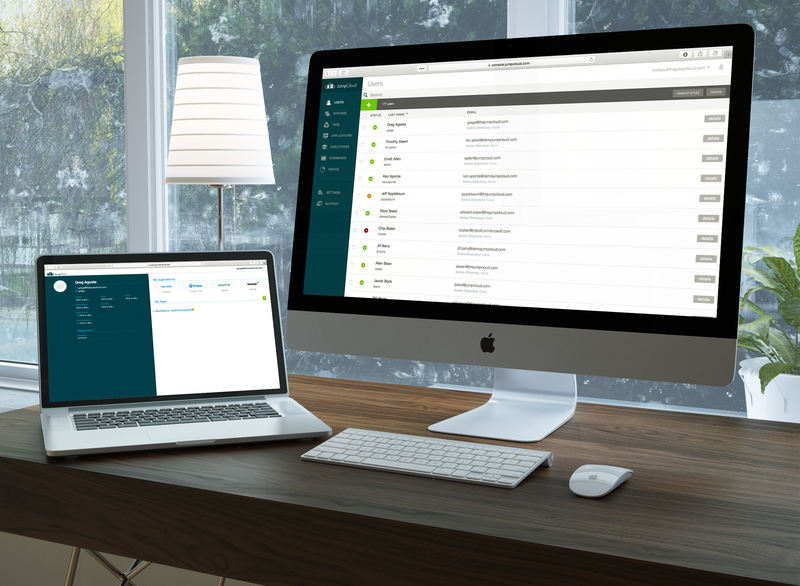 Plus, with JumpCloud’s Mac System App, users can self-service their password changes, which frees up IT admins from frustrating password reset tasks. All in all, Directory-as-a-Service is a cost-effective way to deploy and manage IT resources, and provides a wonderful alternative to manual Mac management and enterprise-scale (and expense) solutions. Instead of searching out an open source Mac management tool, give JumpCloud Directory-as-a-Service a try for free today. JumpCloud’s free account enables you to manage up to 10 users for free, forever. If you want to chat, drop us a line to speak with one of our reps. Hungry for more? Visit our blog or knowledge base for more information.